Founder and publisher: Federal state budgetary scientific institution “Institute of natural and technical systems” (INTS). The journal is registered by the Federal service for supervision of communications, information technology, and mass media (Roskomnadzor), Свидетельство о государственной регистрации средства массовой информации ПИ № ФС77-63023 от 10 сентября 2015 г.
Статьи публикуются на русском или английском языках, журнал издается четыре раза в год. Журнал зарегистрирован в РИНЦ, лицензионный договор № 80-02/2016 от 19.02.2016 г.
Основателем сборника был доктор технических наук, профессор В.А. Гайский. Первым главным редактором сборника научных трудов «Системы контроля окружающей среды» был академик НАНУ, доктор физико-математических наук, профессор В.Н. Еремеев. В настоящее время главным редактором журнала является член-корреспондент РАН, доктор географических наук, профессор А.Б. Полонский. Сборник научных трудов, а затем журнал «Системы контроля окружающей среды» издаются с 1998 года. За прошедший период было опубликовано 26 выпусков, включающих 1271 статью: 20 выпусков сборника в МГИ НАНУ и 6 выпусков журнала в ИПТС. с 2015 года на сайте eLibrary.ru. Все материалы, поступающие в редакцию журнала, рецензируются в соответствии с ее тематикой, с целью их экспертной оценки. Все рецензенты являются признанными специалистами по тематике рецензируемых материалов и имеют в течение последних 3 лет публикации по тематике рецензируемой статьи. Рецензии хранятся в редакции издания в течение 5 лет. Статьи рецензируются. Поступившая статья направляется редакторами ответственному за направление члену редакционной коллегии, который отсылает её на рецензию специалисту из утвержденного списка; анализирует полученную рецензию; сообщает автору устранимые замечания; анализирует доработанную статью и представляет её и заключение на редколлегию. Редакция журнала направляет авторам представленных материалов копии рецензий или мотивированный отказ, а также обязуется направлять копии рецензий в Министерство образования и науки Российской Федерации при поступлении в редакцию издания соответствующего запроса. Founder and publisher: Federal State Budgetary Scientific Institution “Institute of Natural and Technical Systems” (IPTS). 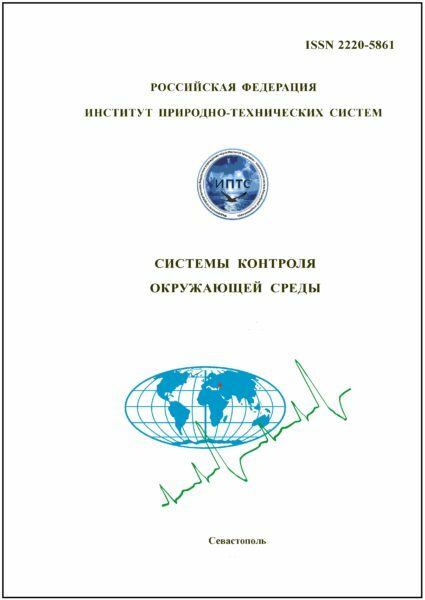 The journal is registered by Federal service for supervision in sphere of Telecom, information technologies and mass communications (Roskomnadzor), Certificate of state registration of mass media PI № FS77-63023 dated September 10, 2015. Articles are published in Russian or English languages, the journal is published four times a year. The journal is registered in RISC, licence agreement № 80-02/2016 dated 19.02.2016. The journal is included into the List of reviewed scientific publications in which there should be published the main scientific results of thesis for scientific degree of a candidate of sciences , for a degree of phD of 12.07.2017 on the following groups of scientific specializations: 03.01.00 – physical-chemical biology; 03.02.00 – general biology; 05.11.00 – instruments’ construction, metrology and informative-measuring devices and systems; 05.13.00 – informatics, computing technics and managing; 05.26.00 – man’s activity safety. Over the past period 26 issues were published, including 1271 articles: 20 issues of collection in MHI NASU and 6 issues of journal in IPTS. – Ecology of natural resources. since 2015 in website eLibrary.ru. The founder of collection of scientific works “Monitoring systems of environment” was Doctor of Technical Sciences, Professor V.A. Gaysky. The first chief editor of collection “Monitoring systems of environment” was Academician of NASU, Doctor of Physical and Mathematical Sciences, Professor V.N. Eremeev. At present the chief editor of j ournal “Monitoring systems of environment” is Corresponding Member of RAS, Doctor of Geographical Sciences, Professor Polonsky A.B. The procedure of submitting, reviewing and publication of articles sent to editorial office. All materials submitted to the Editorial Board of the journal are reviewed in accordance with its theme, for their expert evaluation. All reviewers are acknowledged experts on subject of reviewed materials and have publications on peer-reviewed articles for the last 3 years. The reviews are kept in editorial office for 5 years. The articles are reviewed. The received article is sent by editors to responsible member of Editorial Board, who sends it for review to a specialist from an approved list; analyzes the got review; inform the author of comments, which can be eliminated; analyzes modified article and presents it and the conclusion to Editorial Board. The editors of the journal send to the copies of review or a motivated refuse to authors of submissions and also undertake to send to the copies of reviews to the Ministry of education and science of the Russian Federation for admission to the editors of relevant request.